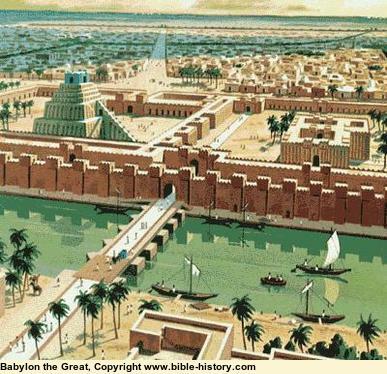 God judges His people Israel, by using the Babylonian Empire to crush them. Has God been blocked in His plans? Is He unable to help them? Has He stepped aside from history? NO, NO & NO! God is NOT defeated! God is NOT absent! God is NOT out-witted! 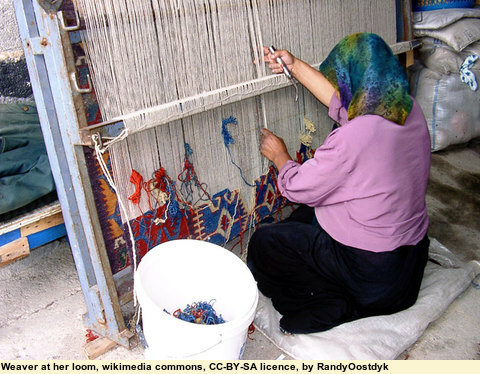 The warp (lengthwise) and weft (crosswise) with which she weaves a pattern. 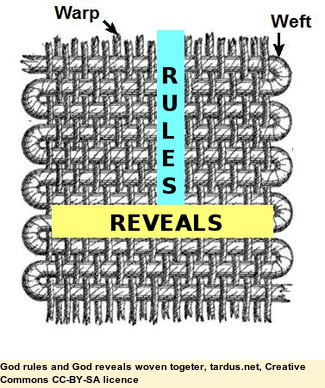 So here - God Rules and God Reveals are woven together. At the end, it is the finished piece we admire; and so it is here too. 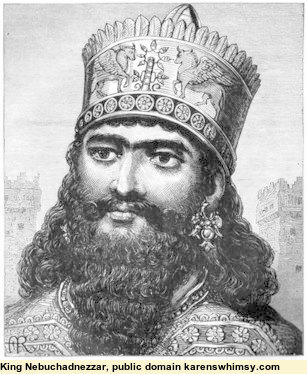 In the night this mighty King, Nebuchadnezzar, is terrified by a dream, and cannot sleep; he calls for his "wise-men". They cannot help ('Tell us the dream', etc.). He refuses to tell them, for he has a deep-seated distrust of them (perhaps a young king's distrust of old men's counsel?) "Tell me the dream's contents, then I'll know you can tell me what it means!" He threatens them, then condemns them. "Hopeless Helpers!" 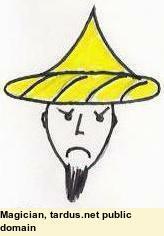 Don't listen to such - shun horoscopes, tarot, palm-readers, and all such who "mutter and peep". Satan delights to trick people using such things; some may even seem to foretell the future by his power, but he is the master of lies, and trouble awaits. (Isaiah 8:19) And when they shall say to you, Seek to the mediums and to wizards who peep and mutter; should not a people seek to their God, than for the living to the dead? Nebuchadnezzar is in a rage - and Daniel and his friends are included in the death warrant - Daniel wins favour from the executioner, for time to answer (the wise-men stalled for time to invent an answer, but Daniel asks time to pray - all the difference, for he trusted in God; they only in themselves). Daniel and his friends pray - private prayer is vital, but prayer with others is to be used when we can get it! See what it works with God - that night God gives the dream itself, and its meaning, to Daniel. They praise and bless God - vv20-23, which we should always be ready to do, especially when He gives a great answer and a great deliverance. 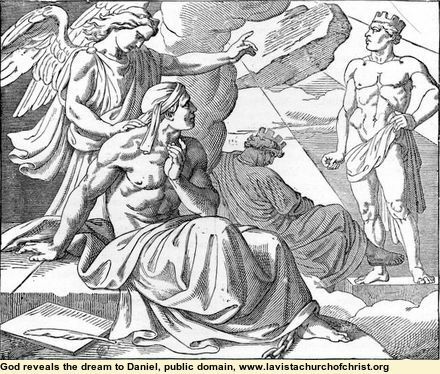 Daniel tells the King the dream and its meaning, thus saving his own life and those of all the wise men. 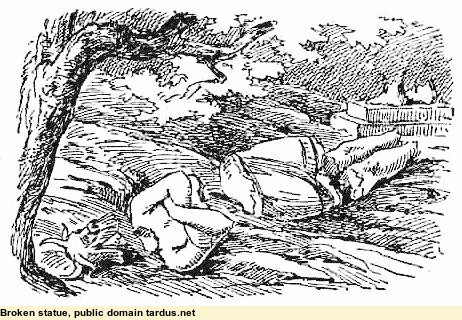 King is overwhelmed, falling down and declaring Daniel's God is great. Nebuchadnezzar, though a fierce tyrant, and ruler of much of world, is at God's mercy - a word from God and he is un-hinged. His power and wealth cannot get him even a night's sleep! 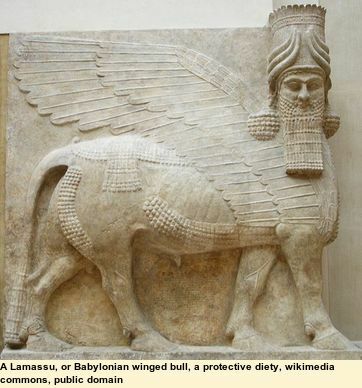 The gods of Babylon, such as the Lamassu, a protective deity in the form of a human-headed winged bull, are powerless. God raises up a man (He could do all His bidding using angles, but He normally uses men; made in His image, dear to His heart, though fallen and in need of redemption.). Daniel comes on the scene, at the right place and time (both in God's plan), to serve Him and to preserve the people. God promises a new Kingdom, with a new King, whose rule shall never fail. God causes the king to promote Daniel to the highest office in the kingdom, Governor of the central province of his kingdom, and chief over all the wise men, and to appoint his friends as the chief ministers under him. You might be thinking, if God does indeed rule all, why so much suffering? I have attempted an answer here, and while I think we will never fathom entirely why God permits evil in this world, at least part of the answer is that the world is cursed through the sin of men, from Adam onwards. God has a path of recovery, but it leads through suffering, and He is not aloof from this suffering. He enters into suffering at the Cross of Jesus. V22 - He reveals secrets - even things totally in the dark to us. Things men cannot see into at all. (Psalm 73:20) like a dream when one awakens; so, O Jehovah, when You awake, You shall despise their image. Elusive - so often lost before we know it. He knows my every thought, and yours too. This should make us tremble, but if we know His mercy in Christ, to bless Him that covers all our sins (word, thought and action) beneath the dying blood of Jesus, His Son. He reveals things that men would never have thought of - a Kingdom and a King that will never fail, and that is of His Son, the Saviour of the world, and in particular, of those who believe. Left to ourselves, if we think of God at all, we think in terms of how we can earn His favour, and avoid his justice. He blows this all away, with a mercy and a salvation totally and utterly of grace - that is, FREE. This offends many, who refuse a mercy they have not worked for. How foolish! - if you worked for it, it would not be mercy, but wages. But the only eternal wages for a sinner without Christ is DEATH, Romans 6:23; never be such a fool as to ask God for what you deserve! "I want my rights! "; God may in justice do just what you ask). He reveals history that is to come - the Babylonian Empire (the head of gold), to be in turn conquered by the Medo-Persian Empire under Cyrus the Great (the Silver torso), then by the Grecian (the Bronze thighs, under Alexander The Great) and finally the Roman empire (of Iron and clay) All glorious in their ways, all to fall and disappear like dust blown away. He reveals the nature of this everlasting kingdom that is to come. 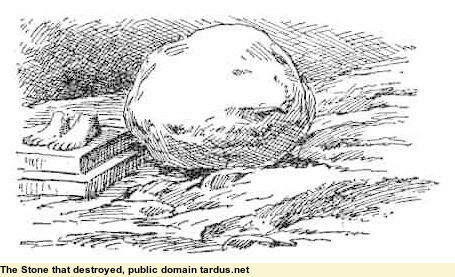 It will survive all kingdoms v44 "never be destroyed"
It will consume all other kingdoms - ancient and modern (e.g., Iron and Bamboo curtains, all false religions, rich western neglect) - See how the stone becomes a mountain that filled the whole earth v 35. "I will build my church, and the gates of hell will not prevail against it" Mt 16:18. This kingdom must have a King, who likewise will never fail, nor die anymore (for wonder of wonders, He must die once, for me - Gal 2:20) , nor be deposed. There can only be one King, and this is King Jesus. 1 Pet 3:22, at God's right hand. What will God reveal about you? He knows everything about you, and calls you to come to Him. 2:1 In the second year of the reign of Nebuchadnezzar, Nebuchadnezzar had dreams; his spirit was troubled, and his sleep left him. 2 Then the king commanded that the magicians, the enchanters, the sorcerers, and the Chaldeans be summoned to tell the king his dreams. So they came in and stood before the king. 3 And the king said to them, "I had a dream, and my spirit is troubled to know the dream." 4 Then the Chaldeans said to the king in Aramaic, "O king, live for ever! Tell your servants the dream, and we will show the interpretation." 5 The king answered and said to the Chaldeans, "The word from me is firm: if you do not make known to me the dream and its interpretation, you shall be torn limb from limb, and your houses shall be laid in ruins. 6 But if you show the dream and its interpretation, you shall receive from me gifts and rewards and great honour. Therefore show me the dream and its interpretation." 7 They answered a second time and said, "Let the king tell his servants the dream, and we will show its interpretation." 8 The king answered and said, "I know with certainty that you are trying to gain time, because you see that the word from me is firm- 9 if you do not make the dream known to me, there is but one sentence for you. You have agreed to speak lying and corrupt words before me till the times change. Therefore tell me the dream, and I shall know that you can show me its interpretation." 10 The Chaldeans answered the king and said, "There is not a man on earth who can meet the king's demand, for no great and powerful king has asked such a thing of any magician or enchanter or Chaldean. 11 The thing that the king asks is difficult, and no one can show it to the king except the gods, whose dwelling is not with flesh." 12 Because of this the king was angry and very furious, and commanded that all the wise men of Babylon be destroyed. 13 So the decree went out, and the wise men were about to be killed; and they sought Daniel and his companions, to kill them. 14 Then Daniel replied with prudence and discretion to Arioch, the captain of the king's guard, who had gone out to kill the wise men of Babylon. 15 He declared to Arioch, the king's captain, "Why is the decree of the king so urgent?" 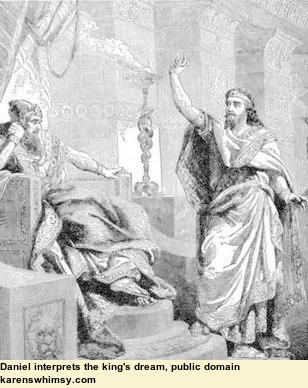 Then Arioch made the matter known to Daniel. 16 And Daniel went in and requested the king to appoint him a time, that he might show the interpretation to the king. "Blessed be the name of God for ever and ever, to whom belong wisdom and might. 21 He changes times and seasons; he removes kings and sets up kings; he gives wisdom to the wise and knowledge to those who have understanding; 22 he reveals deep and hidden things; he knows what is in the darkness, and the light dwells with him. 23 To you, O God of my fathers, I give thanks and praise, for you have given me wisdom and might, and have now made known to me what we asked of you, for you have made known to us the king's matter." 24 Therefore Daniel went in to Arioch, whom the king had appointed to destroy the wise men of Babylon. He went and said thus to him: "Do not destroy the wise men of Babylon; bring me in before the king, and I will show the king the interpretation." 25 Then Arioch brought in Daniel before the king in haste and said thus to him: "I have found among the exiles from Judah a man who will make known to the king the interpretation." 26 The king declared to Daniel, whose name was Belteshazzar, "Are you able to make known to me the dream that I have seen and its interpretation?" 27 Daniel answered the king and said, "No wise men, enchanters, magicians, or astrologers can show to the king the mystery that the king has asked, 28 but there is a God in heaven who reveals mysteries, and he has made known to King Nebuchadnezzar what will be in the latter days. Your dream and the visions of your head as you lay in bed are these: 29 To you, O king, as you lay in bed came thoughts of what would be after this, and he who reveals mysteries made known to you what is to be. 30 But as for me, this mystery has been revealed to me, not because of any wisdom that I have more than all the living, but in order that the interpretation may be made known to the king, and that you may know the thoughts of your mind. 31 "You saw, O king, and behold, a great image. This image, mighty and of exceeding brightness, stood before you, and its appearance was frightening. 32 The head of this image was of fine gold, its chest and arms of silver, its middle and thighs of bronze, 33 its legs of iron, its feet partly of iron and partly of clay. 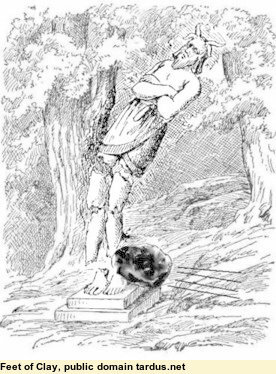 34 As you looked, a stone was cut out by no human hand, and it struck the image on its feet of iron and clay, and broke them in pieces. 35 Then the iron, the clay, the bronze, the silver, and the gold, all together were broken in pieces, and became like the chaff of the summer threshing floors; and the wind carried them away, so that not a trace of them could be found. But the stone that struck the image became a great mountain and filled the whole earth. 36 "This was the dream. Now we will tell the king its interpretation. 37 You, O king, the king of kings, to whom the God of heaven has given the kingdom, the power, and the might, and the glory, 38 and into whose hand he has given, wherever they dwell, the children of man, the beasts of the field, and the birds of the heavens, making you rule over them all-you are the head of gold. 39 Another kingdom inferior to you shall arise after you, and yet a third kingdom of bronze, which shall rule over all the earth. 40 And there shall be a fourth kingdom, strong as iron, because iron breaks to pieces and shatters all things. And like iron that crushes, it shall break and crush all these. 41 And as you saw the feet and toes, partly of potter's clay and partly of iron, it shall be a divided kingdom, but some of the firmness of iron shall be in it, just as you saw iron mixed with the soft clay. 42 And as the toes of the feet were partly iron and partly clay, so the kingdom shall be partly strong and partly brittle. 43 As you saw the iron mixed with soft clay, so they will mix with one another in marriage, but they will not hold together, just as iron does not mix with clay. 44 And in the days of those kings the God of heaven will set up a kingdom that shall never be destroyed, nor shall the kingdom be left to another people. It shall break in pieces all these kingdoms and bring them to an end, and it shall stand for ever, 45 just as you saw that a stone was cut from a mountain by no human hand, and that it broke in pieces the iron, the bronze, the clay, the silver, and the gold. A great God has made known to the king what shall be after this. 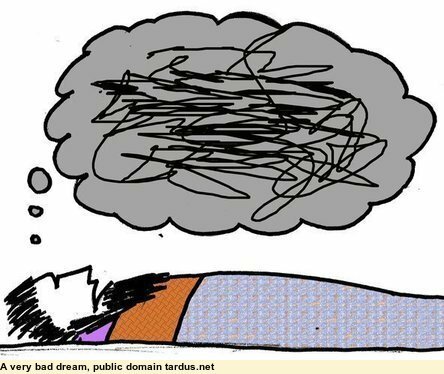 The dream is certain, and its interpretation sure." 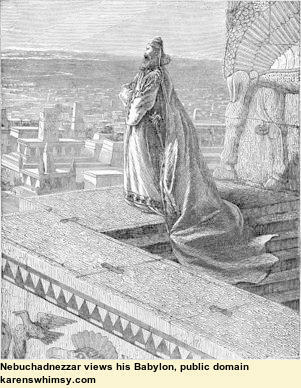 46 Then King Nebuchadnezzar fell upon his face and paid homage to Daniel, and commanded that an offering and incense be offered up to him. 47 The king answered and said to Daniel, "Truly, your God is God of gods and Lord of kings, and a revealer of mysteries, for you have been able to reveal this mystery." 48 Then the king gave Daniel high honours and many great gifts, and made him ruler over the whole province of Babylon and chief prefect over all the wise men of Babylon. 49 Daniel made a request of the king, and he appointed Shadrach, Meshach, and Abednego over the affairs of the province of Babylon. But Daniel remained at the king's court.